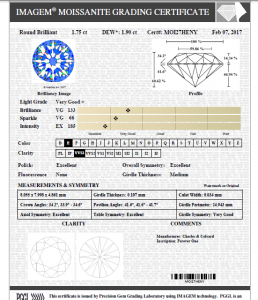 PGGL offers moissanite grading services to trade and consumers. The moissanite grading service is used extensively by major wholesalers and e-commerce retailers that specialize in selling moissanites. Certificates can be customized for large volume customers.